Dive deep into a writing practice with this series of eight workshops, inspired by the teachings of Natalie Goldberg. Dive deep into a writing practice with this series of 8 workshops, inspired by the teachings of Natalie Goldberg (Writing Down the Bones, The True Secret of Writing). We will use stream of conscious timed writing sessions and meditation as tools to crack open our writing, and in turn, ourselves. This is an all levels writing class: beginner and seasoned writers welcome. 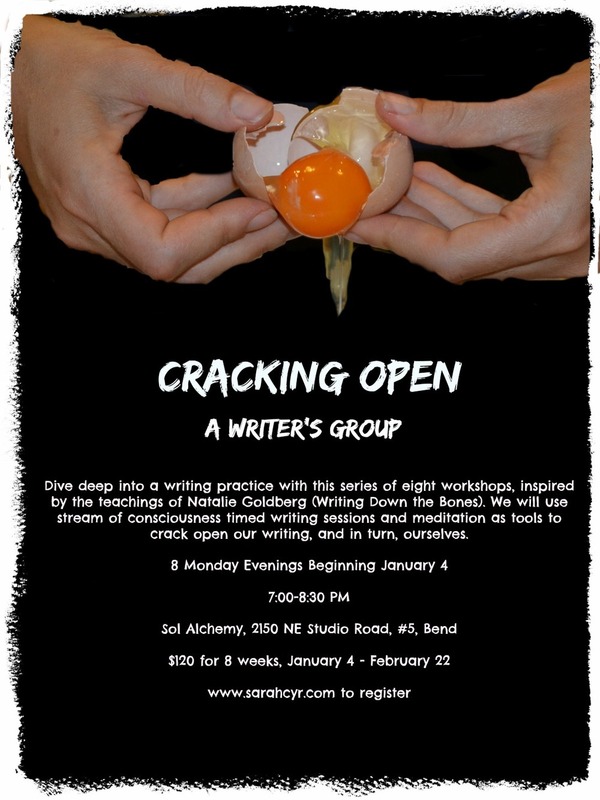 Receive writing wisdom and updates on upcoming workshops and intensives led by Sarah Cyr.